It’s important to understand that acne starts forming long before we witness a pimple on the surface of our skin. This is why treating the problem internally and externally is our best bet at achieving real results. 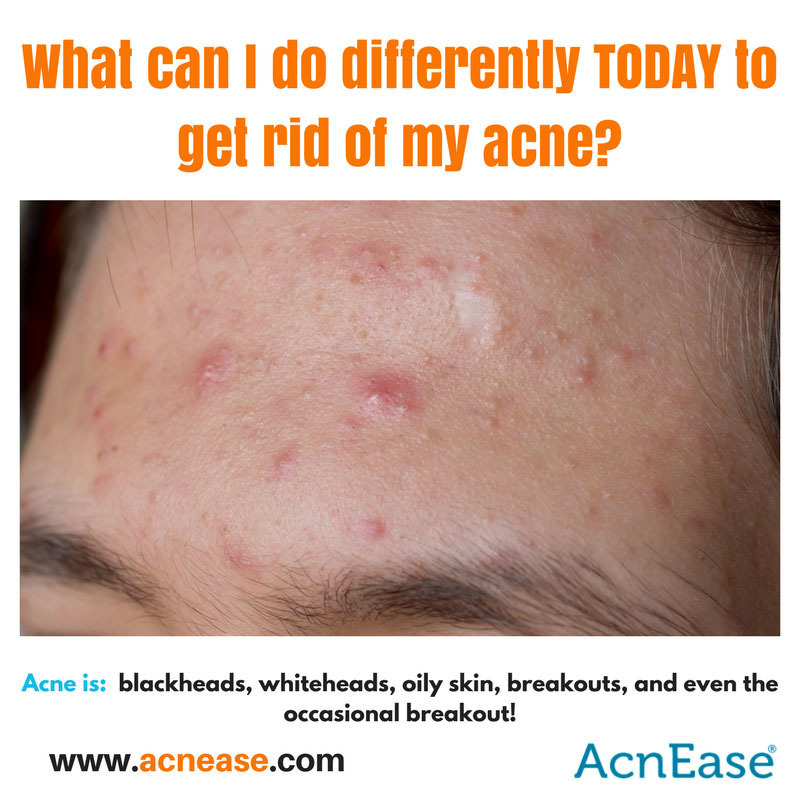 In addition to the topical face wash most acne sufferers use morning and night, finding a systemic solution to target the problem from within, as well as developing healthy skincare habits every day, will be anyone’s best bet at achieving results that last. Reduce the spread of bacteria. Doing your part in eliminating the risk of harmful bacteria forming in those pores requires a clean surface, and we’re not just talking about skin! Makeup brushes and sponges can be a breeding ground for bacteria, and those dead skin cells that contribute to clogged pores can easily collect on pillow cases, towels, and scarves. By giving those items that come in contact with your complexion a regular wash, you can greatly reduce the risk of spreading bacteria back onto the skin. Don’t over-dry. Because the overproduction of oil plays such a big part in the formation of acne, many people are quick to zap that shine from their skin, which many medicated topical face washes already do. You want to keep the surface of the skin clean without over drying, which can actually trigger even more sebum to be produced – this helps the cycle of acne 0continue! It’s all about finding the right balance. Limiting washes to twice daily, morning and night, is a good measure to take, and switching out those harsh or gritty exfoliants, which may include facial cleansing brushes depending on the sensitivity of your skin, for a gentle formula, such as this baking soda mask, will ensure a healthy clean. Don’t skimp on sleep. The physical restoration we experience as we sleep at night is needed in order to maintain manageable stress levels in the body. This has a significant impact on the appearance of our skin as stress elevates the level of specific hormones, including adrenaline and noradrenaline. Both of these hormones belong to the cortisol family, which works along the pathway of testosterone, an androgen known to lead to an excess production of sebum. Stay hydrated. The largest of the body’s organs, the skin is made up of billions of cells. Like any other type of cells, skin cells require a certain amount of water in order to function properly and staying hydrated yields many benefits for the skin. In terms of appearance, fine lines, wrinkles and pores are more apparent on dehydrated skin. Drinking water hydrates and plumps skin cells, which can appear to fill in any lines. Because water increases circulation and blood flow, hydration aids in proper kidney function, which flushes impurities from the body and results in the ‘rosy glow’ associated with hydration. Getting enough water is an essential part of maintaining a healthy body, and the benefits can certainly be measured on the condition of our complexion. Feed your skin from within. The old phrase “you are what you eat” couldn’t ring more true than when it comes to the health and function of our skin, and by implementing an anti-inflammatory diet, we can help give our skin those powerful probiotics and antioxidants it needs, from within. While developing good habits plays a big part in keeping breakouts at bay, the most effective approach to keeping acne formation in check is by addressing the problem at its source - the sebaceous glands, and AcnEase does just that, no matter how mild or severe the symptoms. 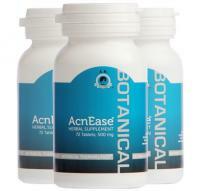 Using safe and effective herbal ingredients, AcnEase works to create a buffer between the hormones and sebaceous glands, ensuring that only the amount of oil needed to properly hydrate the skin is produced - no more, no less. And the best part is, it does the work for you, so if you don’t have time to catch a full eight hours of sleep, or eight ounces of water, you can rest assured that the condition of your acne is being treated regardless. Think prevention so you don’t have to continue this endless cycle. We want to hear from you! What are your favorite skincare tips that keep you on the right track? Have any tricks for helping form a healthy new habit? Tell us in the comments?